A Comfort Height Toilet and an ADA Height Toilet are defined as being toilets with a seat height of 17″-19″ measured from the floor to the top of the seat. Upon reading this definition you would logically be led to assume there are toilets available with a 19″ seat height. Finding one, however, is another matter entirely! In the past there were toilets available with a 19 inch seat height, but in recent times we are not aware of any models that meet these exact specifications. So, if you are someone who needs a toilet seat height of 19″ or more, what are your options? We have outlined the options below and arranged them in ascending order based on how much seat height the solution will gain you, starting with an option that allows for a toilet seat height of nearly 19″ and ending with a solution that allows for a seat height of 28″ or more. A toilet’s seat height can be enhanced in a variety of different ways which include: swap out your existing toilet for a new taller model, add equipment to the top of the toilet bowl, insert a pedestal underneath the toilet, place a frame over the top of the toilet, add a mechanical seat lift or install a wall-mounted toilet. More detail about each of these options can be found below. If a toilet seat height of nearly 19″ is adequate for you, one option you have is to swap out your existing toilet for a taller model. When shopping for a new toilet, it is helpful to be aware that toilets and toilet seats are usually sold separately. The tallest toilets available in the USA (that we are currently aware of) have a toilet bowl height of between 17 – 17.25″ high. On average, most toilet seats are between 1 inch to 1.5 inches tall. When a standard toilet seat is installed on a toilet with a bowl height of 17″ to 17.25″, the resulting toilet seat height will be between 18″ to 18.75″ tall. The exact toilet seat height will depend on the specific toilet and toilet seat model you select. Some examples of toilets with a 17″- 17.25″ bowl height are shown below. If a toilet seat height of nearly 19″ high is not tall enough, keep reading. The 7 solutions identified below can all make it possible to achieve a toilet seat height of 19 inches or greater. One option to achieve a toilet seat height of 19″ or greater is to add an enhanced-height toilet seat to a toilet with a 16″ or 17″ tall toilet bowl. So for instance, a three inch tall toilet seat can be added to the top of a toilet with a 16″ tall toilet bowl to achieve an overall toilet seat height of 19 inches high. Or, alternatively you can add a 2 inch or 3 inch tall toilet seat to a 17″ high toilet bowl to achieve a 19″ or 20″ high toilet seat. Examples of two and three inch tall round and elongated toilet seats are shown below. If you opt to install an enhanced-height toilet seat, make sure to select the correct toilet seat shape (round or elongated) to pair with the shape of your toilet’s bowl! Another option you have is install a toilet pedestal underneath your existing toilet to raise the overall height of the entire toilet. A toilet pedestal can effectively increase the toilet seat height by 2.5″ to 4″, depending on the model selected. At this time, there are only a handful of different toilet pedestal models available on the market. Prior to selecting one, make sure to confirm not only that the pedestal’s height is right for your physical needs, but also that the length of the toilet pedestal will accomodate the length of your toilet. Examples of toilet pedestals are shown below. Yet another option is to add a riser underneath your existing toilet seat. Toilet seat risers are available in different heights and on average will range somewhere between 2 to 4 inches in height. Most models are designed to be attached to the bolts at the back of the toilet seat to hold it in place. Some toilet seat risers include handles. 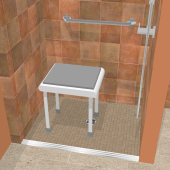 Models with handles will help provide you with extra leverage, making it easier to stand up from the toilet. If you do select a model with handles and you have wide hips, confirm the distance present between the handles will be adequate for your needs. Also, make sure to confirm the model selected is the the correct shape for your toilet bowl (round or elongated). A few toilet riser models come specially equipped with a hinge allowing them to be flipped up out of the way by male members of the household. Examples of toilet risers are shown below. This option is similar to the last one, however, there is one key difference: Instead of inserting a riser underneath your existing toilet seat, this one requires removing the existing toilet seat and replacing it with a toilet riser that doubles as a toilet seat as well. Toilet seat risers are available in different heights and on average will range somewhere between 4 to 6 inches in height. Elevated toilet seats are available with or without handles. The models with handles will help provide extra leverage, making it easier for you to get up from the toilet. If you do opt for a model with handles and you have wide hips, confirm the space present between the handles will be adequate for your needs prior to ordering. Also, make sure to select one that is the correct shape for your toilet bowl (round or elongated). Examples of elevated toilet seats are shown below. 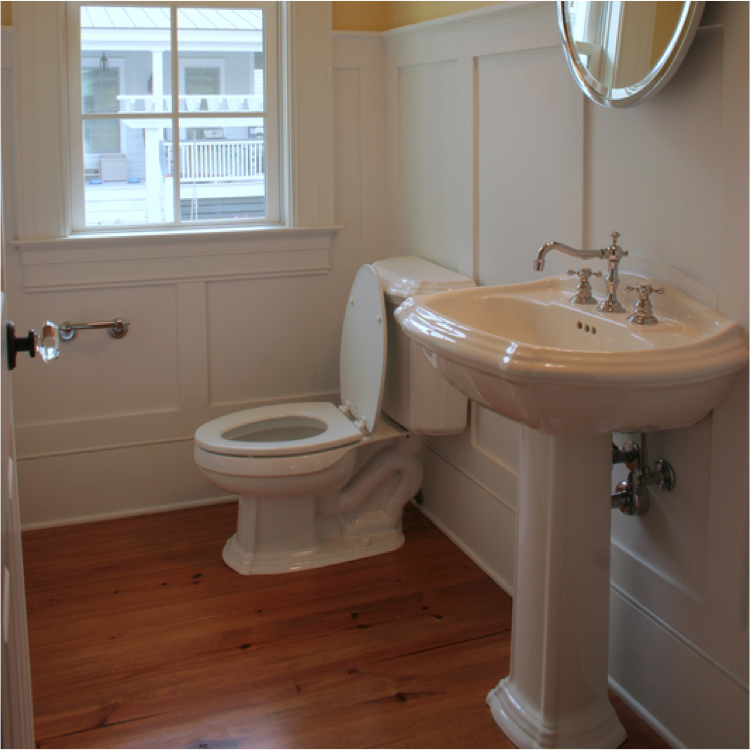 Another alternative is to place a toilet frame (aka commode) over the top of your toilet. Toilet frames will vary in the features they offer. In general, most models are equipped with an adjustable height seat that is typically capable of achieving a seat height somewhere between 18″-23″ high. Most models include a hard-plastic liner that gets inserted between the commode and the toilet to ensure all contents go directly into the toilet and do not splash out the sides (since the commode seat will be higher than the existing toilet bowl). Most toilet frame models are also designed to dual as a bedside commode and some can even be used as a shower chair as well. Models may also include one or more of the following features: drop away arm rests allowing a wheelchair user to slide from the wheelchair’s seat directly to the commode seat; a padded seat, which can be helpful for persons with pressure-sensitive skin, or the capability to accomodate a weight limit of up to 1000 pounds. Foldable models exist too, making it possible to take the toilet frame along with you when you are traveling or to easily hide it away when guests are visiting. Examples of toilet frames are shown below. Toilet seat lifts are specially designed to assist you with standing up from the toilet. 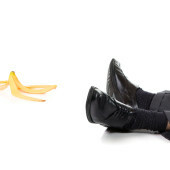 Some have springs or a pneumatic lifting mechanism that provides some added support as you begin to stand up. Others rely on batteries or electricity and will fully assist you in moving from a seated to a standing position. Models will vary in the maximum seat height they can achieve. Some electric models can raise the toilet seat up to 26″ tall. A few toilet seat lift models include wheels, which are helpful if you are someone who has trouble walking to the bathroom. The wheels make it possible for a caregiver to push you into the bathroom seated on the chair and then position the chair over the top of the toilet. The standing mechanism then helps to make it easier for you to stand up for performing hygiene and for standing to pull pants down or up. Examples of mechanical toilet seat lifts are shown below. Last but not least, you can consider installing a wall-hung toilet. Wall-hung toilets can be installed at a variety of different heights, allowing for greater flexibility in choosing the height that is best suited for your needs. 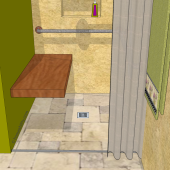 Take note, though a wall-hung toilet allows for greater flexibility in choosing the height, there will still be some restrictions on the minimum and maximum heights a wall-hung toilet can be installed which are predetermined by the specific support frame (aka carrier system) that is installed inside the bathroom wall. Some carrier system models will allow the toilet seat to be installed at a height of 28″ or greater. When ordering a wall-hung toilet, it is helpful to be aware that the wall-hung toilet and carrier system are usually sold separately. It is also helpful to be aware that carrier systems are available in two different widths. Prior to ordering a carrier system, have your contractor measure the space between your bathroom’s wall studs to confirm the carrier-system selected will fit in the allotted space inside the wall. Examples of wall-hung toilets and two different sized carrier systems are shown below. The following are some things to take into consideration when selecting an option to achieve a taller toilet seat height. Nonreturnable! Due to FDA regulations, most toilet products are non-returnable (unless they are still sealed in their original packaging). Therefore it is important to measure the dimensions of your toilet and the space around the toilet, to confirm the dimensions of the product are appropriate prior to ordering. If you are unsure, contact the manufacturer to ask them for assistance in determining if it will work for your specific needs. Toilet’s Seat Height: If you opt to install a new toilet with a taller seat height, it is helpful to be aware that there is a difference between a toilet’s “bowl height” and a toilet’s “seat height”. A toilet’s bowl height refers to the measurement taken from the floor to the top rim of the toilet bowl (without the toilet seat.) A toilet’s seat height refers to the measurement taken from the floor to the top of the toilet seat. Many manufacturers will only list the toilet “bowl” height because the toilet seat is typically purchased separately. If you only see the toilet’s bowl height listed, you can assume that on average a standard toilet seat will add an additional 1″- 1.5″ to the bowl height. Rough-In Size: If you opt to swap your toilet out for a new taller model, it is important to not only confirm that the toilet seat “height” meets your needs, but also that the “rough-in” size of the new toilet matches the rough-in size of your existing toilet. Why is this important? It is important so the piping inside the new toilet will line up with the pipe in your bathroom floor. Sound complicated? It’s not. All you need to do is measure from the wall (do not include the baseboard) to the center of one of the toilet bolts located on the sides of your toilet (the ones that secure it to the floor). The center of the toilet bolts rest at the centerline of the drainpipe. This measurement is equal to your toilet’s rough-in size. Next check the list of specification’s for the new toilet model to confirm the rough-in sizes matches your existing toilet’s rough-in size. Safety: Elevated toilets and toilet seat spacers come in a variety of different kinds. The ones that are designed to either clamp to the bowl or attach to the toilet seat bolts at the back of the toilet seat generally tend to be safer than the elevated toilet seat models that just have a lip that extends down into the toilet bowl to prevent the seat from sliding around, but do not get formally attached to the toilet itself. The latter type that just have a lip that extends down into the bowl may tip forward or wiggle when you are sitting down and standing up. Cheapest Options: The raised toilet seats and the toilet frames that stand over the toilet bowl are usually the cheapest options for increasing the toilet seat height. Most Aesthetically Pleasing Options: Replacing the existing toilet with a taller floor-mounted model or installing a wall-hung toilet are usually considered to be the most aesthetically pleasing options for achieving a taller toilet seat height. In terms of adding equipment to the existing toilet, many people express that they prefer the appearance of the toilet pedestals that are installed underneath the toilet to the risers and elevated toilet seats that rest on top of the toilet bowl. Constipation: A possible consequence of increasing the toilet seat height is that it can put you in a less natural position for moving your bowels. Studies indicate that a squat-like position, with hips located below the height of the knees, is better for naturally moving the bowels. So, if you find that you are experiencing increased constipation upon installing a higher toilet seat, you may want to consider adding a step stool at the base. By resting your feet on top of the step stool, you can achieve a squat-like position. Examples of toilet step stools are shown below. Toilet Bowl Shape: When adding equipment to an existing toilet, make sure to confirm it is appropriate for the shape of your toilet bowl (round or elongated). If you opt to select a new toilet (taller model or wall-mounted model), the shape of the toilet bowl is also an important aspect to take into consideration. To learn more, read Best Toilet Bowl Shape: Which is Right for You? More Topics You May Be Interested In.